Welcome back to Psalm 18, gang. It should come as no surprise that a psalm of this length contains more material than I can adequately cover in one post. 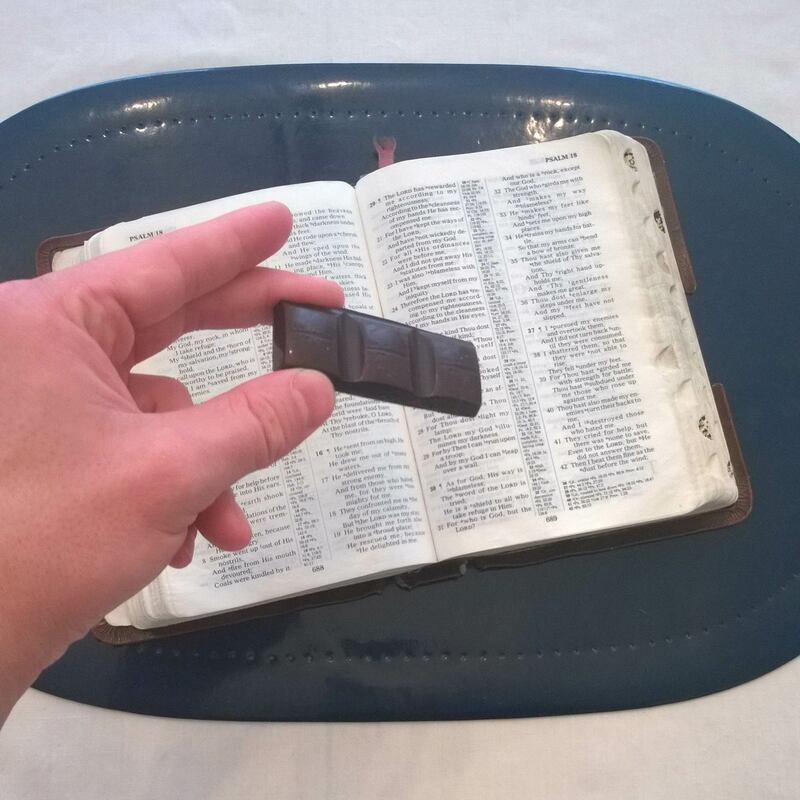 I’d wanted to tackle the issues raised by David’s triumphant destruction of his foes, but I didn’t get to yesterday, so we’re revisiting the passage to deal with its difficult questions, because the Bible is a Chocolate Book. In vv.37-42, David revels in victory over his adversaries, who were to all appearances absolutely devastated. “I shattered [my enemies] so that they were not able to rise; they fell under my feet” (38), he says, going on to state: “I destroyed those who hated me” (40). The language is potent and leaves no doubt that men died that day. According to its epigraph, David composed the psalm “on the day that the Lord delivered him from the hand of all of his enemies and from the hand of Saul” (the account of which can be found in 1 Samuel 31 through 2 Samuel 2). Moreover, David credits God for his deliverance and the strength to overcome his enemies. They receive no mercy, even though they beg for it: “They cried for help, but there was none to save, even to the Lord, but He did not answer them” (41). God refuses to respond, ostensibly on the basis of these men’s unrighteousness; there’s no forgiveness where there’s no repentance. David writes that God has “rescued him from the violent man” (48), but is he himself just like the violent men he counts as his enemies? And is God complicit in his brutality? These are disquieting elements to me. If we’re honest with ourselves, I expect many of us find David’s exultation over his fallen foes disconcerting; we may well find it disorienting that reorientation takes such a view of warfare and bloodshed. I don’t think that David violated the commandment “You shall not murder” in this case (and I found an insightful word study and summary of historical context for the Hebrew word for “murder” at Tekton Apologetics, for those interested). Moreover, I think I could make a case that it isn’t inherently unjust for God to sanction or command warfare, or to rescue a man like David by giving him the strength to kill his would-be killers. David’s triumphant tone still gets to me, though. It’s good that he’s grateful to God for delivering him, even that he takes joy in it. But it seems like he ought to be mourning the fallen, not singing, “I beat them fine as the dust before the wind; I emptied them out as the mire of the streets” (42). If that’s reorientation, I have yet to reach it. But hey, at least the chocolate’s always good, right? Posted in Daily Reading, Psalms.Tagged bible, christianity, David, death, morality, Psalms, scripture, theodicy, violence, Walter Brueggemann, word study.